Looking for an entry level bowling ball or a ball that is not going to react strongly to the dry or oily parts of the lane? 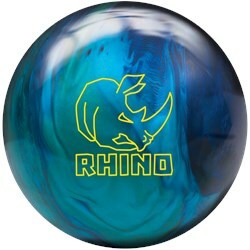 Then look no further than the Brunswick Rhino bowling ball. This line of bowling balls balances power and control by pairing the R-16 reactive coverstock and a light bulb shaped core. Does this ball ship undrilled? Yes, that is correct. Unless you wish for bowling.com to drill it for you for only $14.95. It will be a generic core for the 10-11lb ball. Yes, this would be an excellent ball to learn to throw a hook for it is an entry level ball that will already have a slight hook to it. I like this ball. What is a stronger comparable ball to this available? 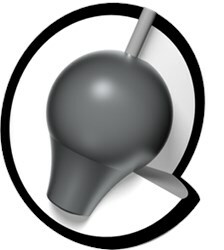 If you are looking at entry level balls, any of the entry level balls would do just fine. If you need something stronger, you could go to Mid Performance balls. The most popular line would be the Columbia Nitrous line. I’m just learning to hook, would this be a good ball? This would be perfect for just starting out! Due to the time it takes to produce the Brunswick Rhino Cobalt/Aqua/Teal Pearl ball it will ship in immediately. We cannot ship this ball outside the United States.